While I can’t share any current travels with you guys, there are so many things I’ve seen and places I’ve been that I’d love to share now, after the fact. For example, just a month ago I was texting Chelsea, asking her if she had any photos from our visit to The Guggenheim, completely sure that I’d somehow lost mine forever. Luckily, Sarah and I found them this weekend while scrolling through photos from our time in NYC on my hard drive. Oh, how I could go for a trip to New York right about now! 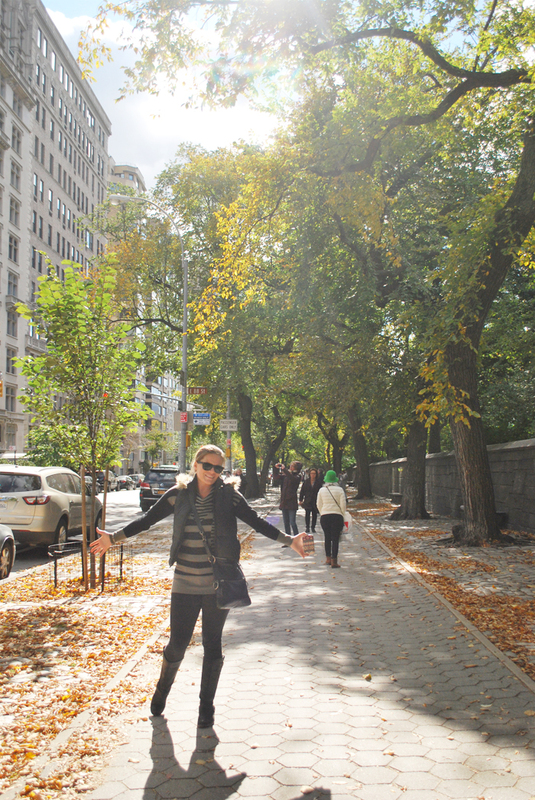 When we lived in New York for those short few months in the fall of 2015, Chelsea took a train from New Jersey to spend my birthday weekend with us in the city. 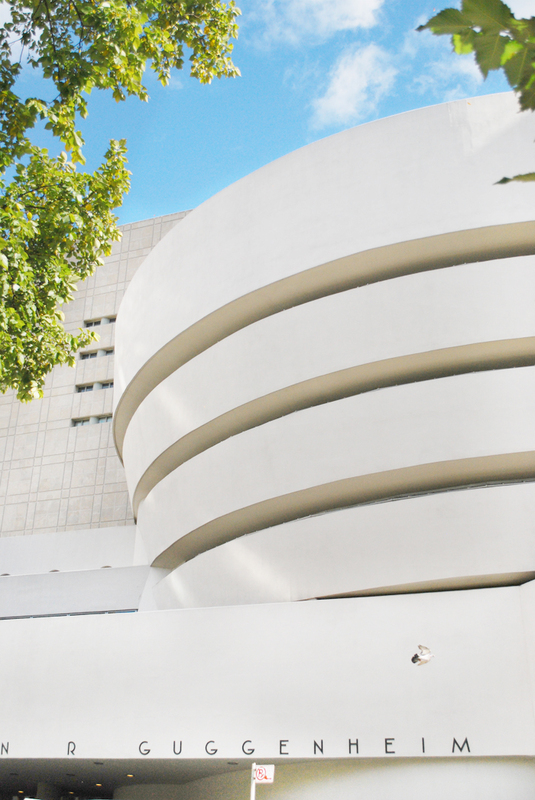 After a full Saturday of wandering around downtown and exploring the West Village, we woke on Sunday morning with only one plan: to visit The Guggenheim. 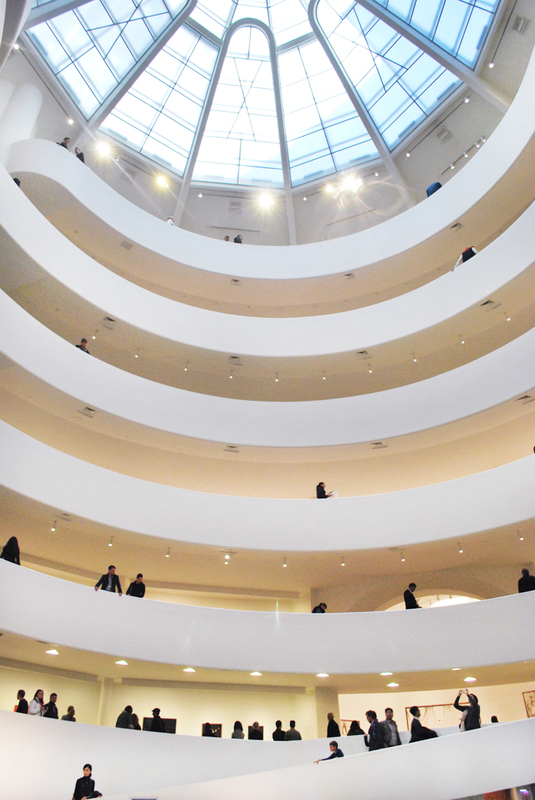 The Solomon R. Guggenheim Museum is one of the most iconic buildings in all of New York City. It was designed by Frank Lloyd Wright and opened in this building in 1959 after outgrowing various smaller locations throughout the city. I feel like many people recognize this building regardless of whether or not they even know what it is, probably from movies that take place in NYC; I know I was one of those people before I became more familiar with NY. 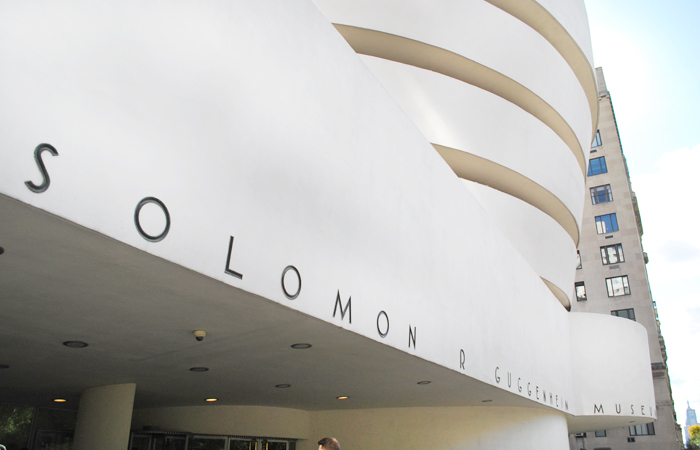 Solomon R. Guggenheim was a wealthy art enthusiast who began collecting in the 1890s. As his collection grew and his tastes changed, he began opening his apartment for public viewings, which encouraged him to start a foundation and show his collection at gallery spaces throughout the city. 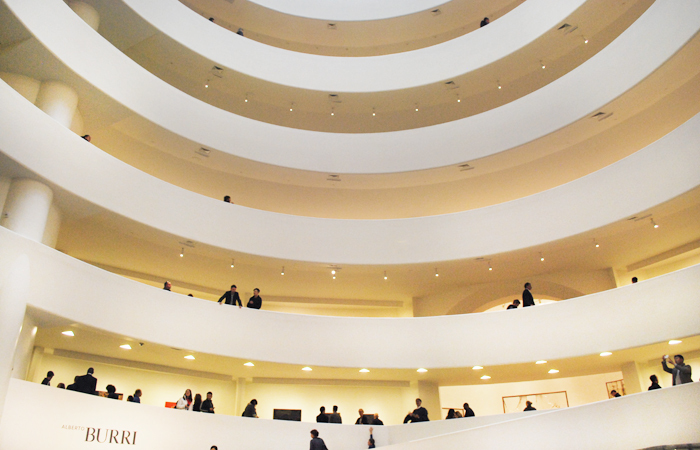 You can read more about The Guggenheim’s history here. Today, the museum houses a permanent collection of over 7,000 works of art across several locations, with the NYC location featuring well known pieces by Braque, Cézanne, Degas (my fav! ), Manet, Mondrian, Picasso, and various others that you may or may not be familiar with. It is a modern / abstract / expressionist haven! I wasn’t really sure what we would find at the Guggenheim. The main atrium, known for it’s spiraling walkways lined with art, is typically used for current, changing exhibits, while works from the permanent collection are set aside in smaller alcoves or rooms. I was unfamiliar with the artist on display in the main part of the museum prior to visiting, which was Alberto Burri’s “The Trauma of Painting.” Photos are not allowed beyond the main entryway, so you’ll have to read up on his work here. The best way to take in the featured exhibit is to start at the bottom and wind your way to the top, but you can also take the elevator up and work your way down (which is what we did…we watched the artists’ work regress, whoops!) And don’t miss the works from the permanent collection in the other parts of the museum! 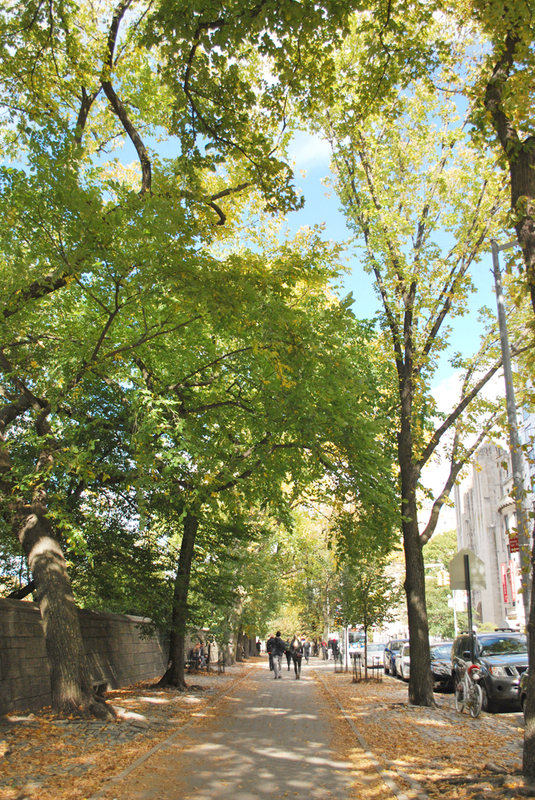 Also, you should definitely take advantage of the fact that Central Park is directly across the street, and don’t forget that other museums along Museum Mile are all within walking distance. I’m so glad you were able to find the photos! 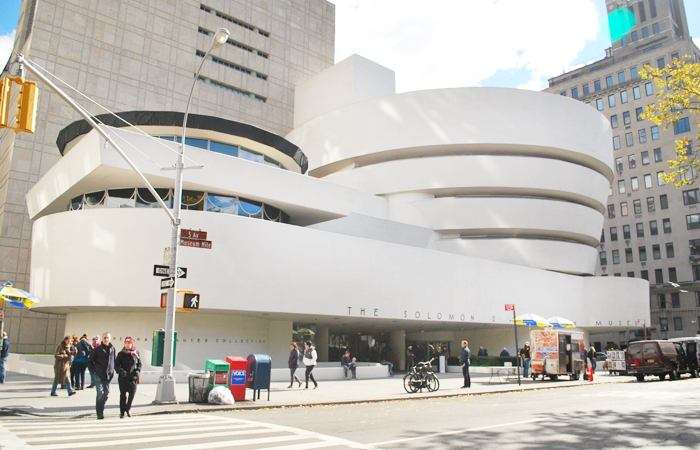 When we were in NYC a few summers ago this was high on Jordan’s list mainly because of Frank Lloyd Wright. I love the circular rotation. It created a different viewing feel. It really did! I’ve never been to a museum quite like it, before or since.